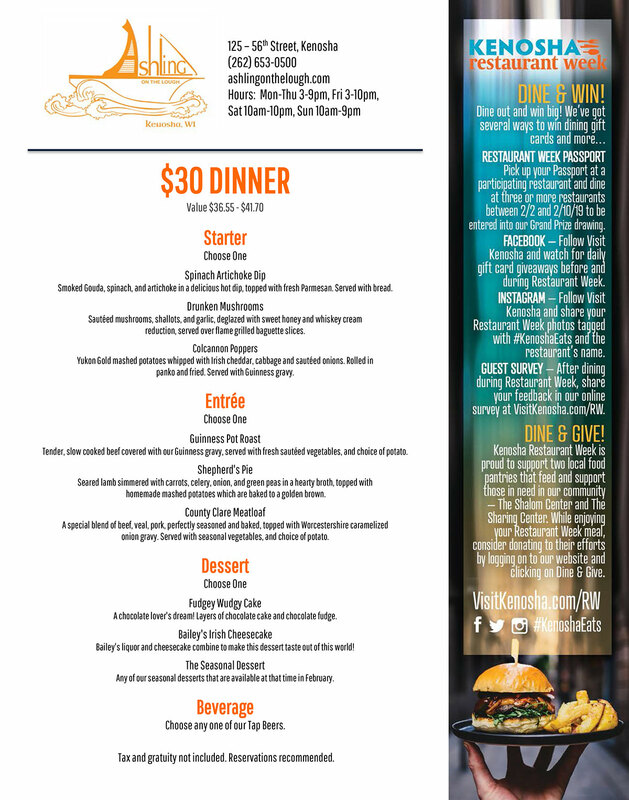 Join us for Kenosha Restaurant Week starting Saturday, February 2nd through Sunday, February 10th. 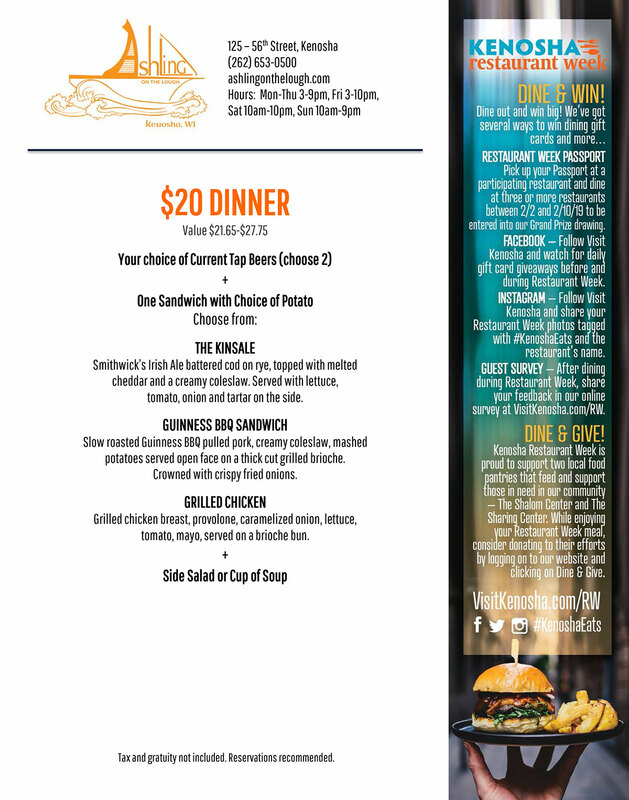 We will be offering discounted menu options for $20 or for $30. Looking forward to seeing you!